While trying not to melt, and while much of the local flora shrivels up and turns to dust due to a lack of precipitation, I happened to read about a group of scholars who have chosen the Seven Wonders of the Modern World. 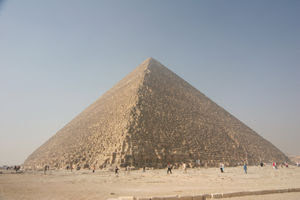 This is, as I’m sure you know (since all of my readers are highly intellectual), a compliment to the Seven Wonders of the Ancient World, which consist of the Great Pyramid of Giza and six other things which no longer exist. It appears that Seven Wonders may now becoming a trend. I’m sure it will not be long before we see the Seven Wonders of TV, movies, and other, mundane things. Therefore, I began to ponder. In our world, the great world of all things spanking, what is truly wonderful? What stands out as amazing, colossal things to those of us with spanko tendencies? 1. The Internet – Thru Al Gore’s greatest invention, Spanko’s across this great planet have discovered two things: That they are not along, and how to make contact with others who share the same interest. The internet has also provided an endless steam of entertainment, from pictures to videos to stories to blogs. 2. The Human Tushie – If it wasn’t for this most exquisite part of the human anatomy, we’d have nothing to spank. 3. Schoolgirls – The schoolgirl fantasy has occupied the imagination of many a spanko. The British seem to have a special place in their hearts for the schoolgirl, in her traditional uniform, being taken over the headmaster desk for a caning or house mistress’ lap for a dose of the hairbrush. Curiously, despite the fact that, in my part of the world in my formative years schoolgirls were never spanked, the school boy generally does not evoke the same thoughts. 4. The Hairbrush and the Belt – While there are many household implements which work quite nicely for spanking, these two items are by far the most popular and evoke the most feelings, whether of excitement or fear. 5. The School Paddle and the Cane – You might think that these two implements belong with the previous, however I feel that they deserve a place of their own. The Paddle and the Cane are generally used for more formal, and often more severe, spankings. They are also the primary methods of spanking used by schools, the Paddle in the States and the Cane in the British Isles. Finally, unlike the hairbrush and belt, which have more common uses, the primary purpose of Canes and, especially, Paddles, is for striking the poor miscreant across their posterior. 7. Imagination – Spankos have fertile imaginations. I have always felt that. The advent of internet spanking newsgroups, websites, and blog has only strengthened that belief. The average, every day spanko often has a plethora of fine fiction that they are kind enough to share. Often, without a willing partner, or any partner at all, a spanko must depend on their imagination as the only way to give or get a decent spanking. This really just goes to prove what is indeed the point of this little piece of the internet, and that is that being spanko is fantastic. lol great post! Reading that does make me feel good to be a spankosexual. The 7 wonders..hm...I would like to add Annabelle Lee, a model with Chelsea Pfeiffer's goodspanking, with whom I am currently smitten.